Bunnies, chicks, a duckling and plenty of eggs in baskets are some of the stitchable patterns found in this Easter Hand Embroidery Pattern Packet. This is a 12 page pattern packet that includes a title page and 11 pages of happy, whimsical Easter themed motifs and borders. 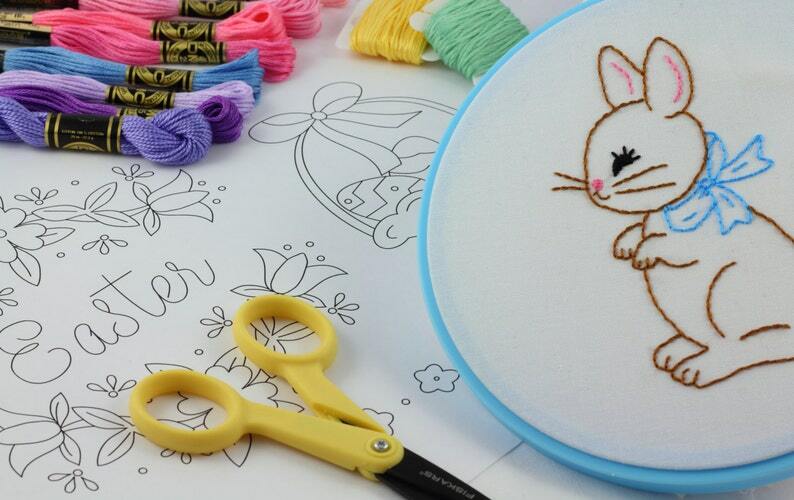 Don’t limit the designs to Easter, try them out for spring, scrap-booking, coloring pages, quilt blocks, applique templates and card making projects as well! This pattern is for your personal use and is not intended to be sold or used on items to be sold.